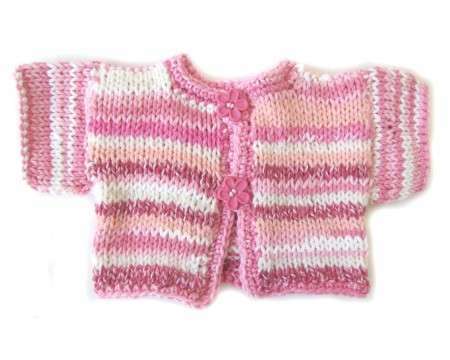 The knitted cotton sweater/jacket is made of heavy multi colored pastel cotton and acrylic yarn. The edges are crocheted with pink cotton yarn. It has two flower buttons in the front. Measurements are 14" around the chest and 6" from top of shoulders to bottom.